UNDER NEW OWNERSHIP!!! THE BEST RIVER SITE IN LEWISTON!! We are NOT Marijuana friendly and are a Drug Free Property. If you are looking to party, please go somewhere else. Wake up and start dreaming! 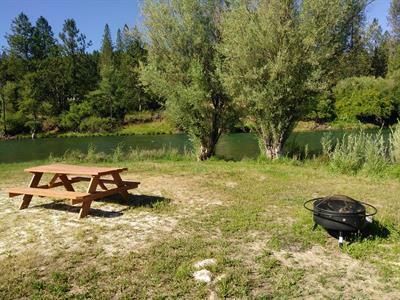 Your rustic vacation destination is right here, just 35 minutes from Redding, California, on the wild and scenic Trinity River. 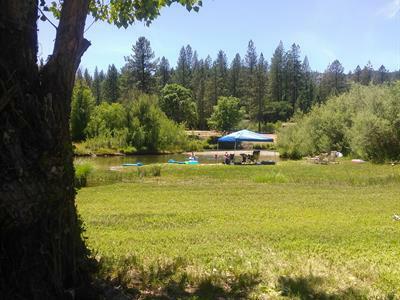 Our private rustic park is proud of its 6-acres of grassy open-space, stretching along this magnificent river. Our park is truly a fisherman's paradise, with its open banks and famous fishing waters -- fantastic for catching steel head, salmon and Trophy German browns. And the action is year-round! To add to the excitement, we're just a mile from Lewiston Lake: peaceful, cold water, an angler's paradise -- great for drift-fishing. Excellent bass fishing can be found at neighboring Trinity Lake: crystal clear, glassy, warm waters with tree-lined coves. Perfect for water sports. 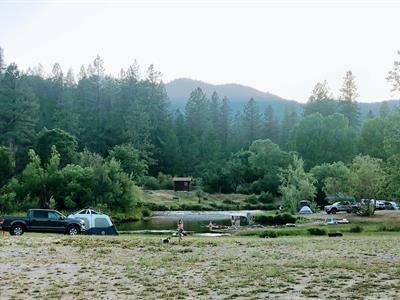 Or lose yourself in phenomenal beauty in the rugged majestic Trinity Alps -- the picturesque backdrop to the lakes. This incredible wilderness area will entice you with scores of fresh alpine lakes and unlimited options for your vacation fun. 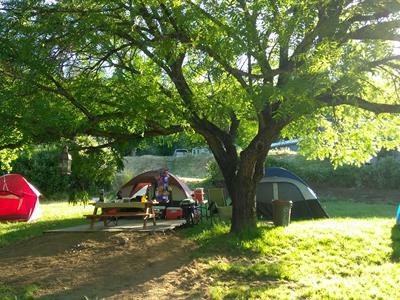 Ready to relax at base camp? We provide an irresistible setting. 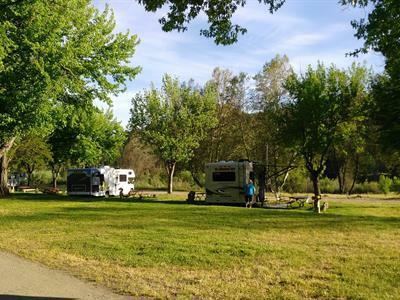 Picture your RV nestled under large shady maples with green lawns stretching out to the river. Herds of deer roaming free and the sound of ospreys hunting the river. Your site is spacious, with full hookups. For tent campers we have camping on the river bank! And hot showers. Kids of all ages will love our clear swimming lagoon. We've got something for everyone, so bring the whole family! Natural and uncrowded, this paradise continues to amaze even the locals. With an easy pace, friendly smiles and mild climate, it's a vacation spirit year-round. You'll want to come back, again and again. Please let us help you plan your next trip to Trinity River Resort and RV Park. Call us for information, reservations or just to see how the fishing is! ***BE AWARE**If you are coming from Redding, once you turn towards Lewiston from 299, GPS will try to have you turn left at Old Lewiston Turnpike road(Lew Turnpike Rd), which will take you to old Lewiston Bridge. If you are pulling a trailer or driving an RV, you CAN NOT go over that bridge. Instead,stay straight on Trinity Dam Blvd, go through Lewiston, cross over Trinity River, then turn left on Rush Creek Road, follow Rush Creek Road past Old Lewiston Bridge RV park, and we are about 3 minutes past that Park on the left. See you soon!